CH Consulting Group firmly believes in the power of having fundamentally sound processes in place within your contact center organization. 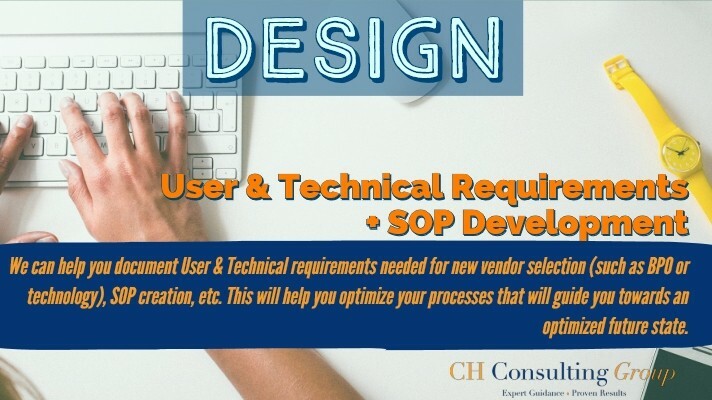 In the past, CHCG has worked with clients in optimizing current process as well as creating new Standard Operating Processes (SOPs) from scratch. This includes the development of User & Vendor Requirements that are required for the RFP process and/or solution implementation. Document Client’s process flows for specific call types such as troubleshooting, consumer support, sales, etc. If you need additional resources to help design and deploy new SOPs for your contact center organization, please fill out a form today for a free proposal. We look forward to learning more about your needs and figuring out the best way to support you in your process initiatives.